The first trading week of the new month is already underway, which means a fresh batch of daily updates. 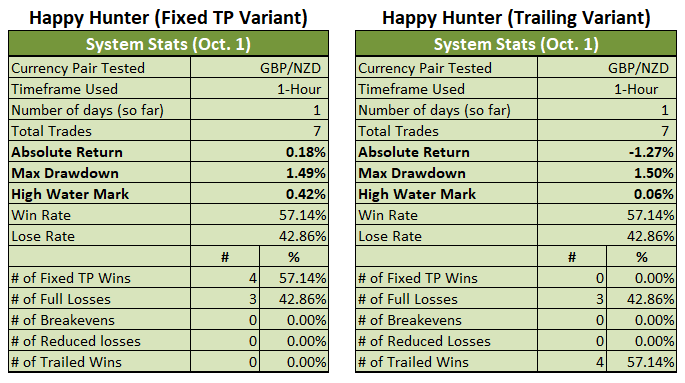 So, how did the two Variants fare during the first trading day of the new month? 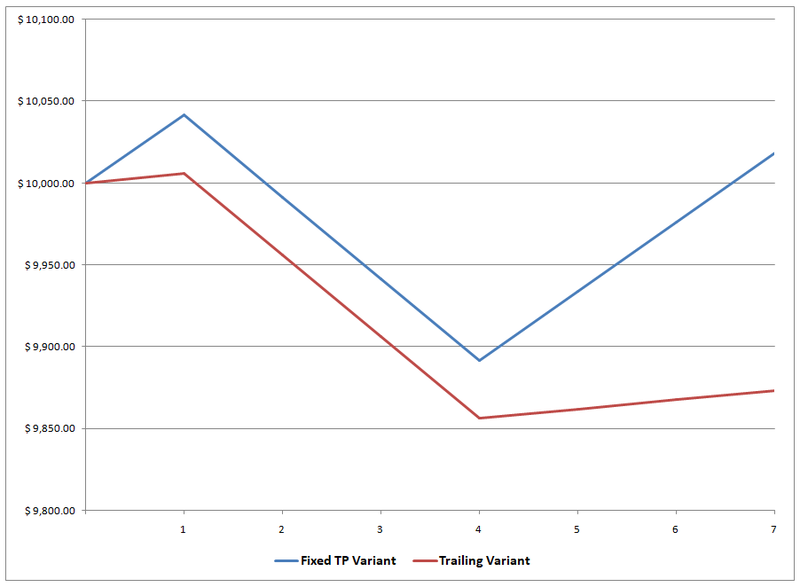 Well, it was mixed since the Fixed TP Variant managed to eke out a win and is now up by 0.18% for the month. The Trailing Variant, meanwhile, is starting the new month with losses and is already down by 1.27%. Ouch! Volatility was actually relatively high on October 1. However, price action was very choppy and some of the hourly candles were rather big relative to ATRH. The choppy price action also meant that some trades were on the “right” direction, but were stopped out with full losses. And trades # 2 and 3 are examples of this. 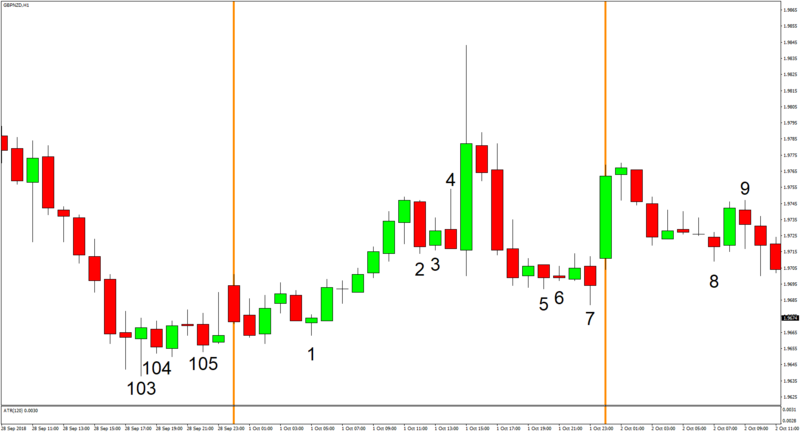 As you can see below, there was a large bullish spike after trades # 2 and 3 were triggered. Unfortunately, the pair dipped before spiking higher, and the dip was more than enough to take out both trades for a painful 1.0% loss. And as to be expected, the Trailing Variant was particularly vulnerable to the choppy price action and large hourly candles since the Variant had a very hard time in preserving its gains. In fact, all winning trades were closed out at SW. And they just couldn’t offset the losses sustained on October 1. By the way, if you want to know how the system fared in September, then you can do that by clicking on the link below.